Offering bodywork/changework in the Austin, Texas, area. Website: maryannreynolds.com. Blogging about wellness at The Well: bodymindheartspirit. Trouble making decisions? Read this. A Facebook friend posted this quote this morning, and it hit me hard how much sense it makes. I have had issues making decisions in the past — I imagine everyone has. Click here to view my business website. 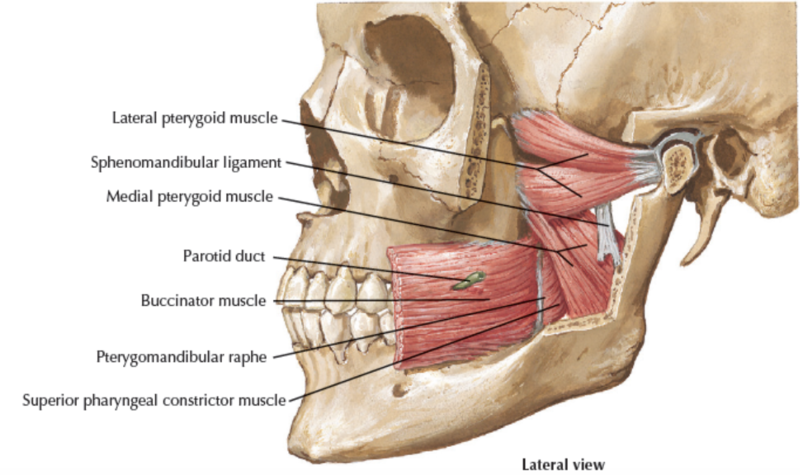 You can join my Facebook group, called Word of Mouth: Resources for Relieving Jaw Pain/Dysfunction, which offers educational units as well as connection with others working on their jaw issues. Schedule a free 30-minute consultation so I can learn about your jaw issues, do an evaluation, and discover if we’re a good match for successful treatment. Schedule a 75-minute TMJ Relief session (can be right after the consultation if that time slot is available on my online scheduling program). Join my TMJ Relief Program, designed to create long-lasting relief by offering 5 sessions in 4 weeks along with an email after each session with education, exercises, supplement recommendations, and more. You would need to be in Austin to receive a session, but the Facebook group is open to people anywhere who are seeking to address their jaw issues. The educational units available in the group include teaching a relaxed mouth position, jaw exercises, self-massage, relaxation techniques, terminology, sleep positioning, and more. If you’re interested in joining the group, click this link, answer the three questions, and you’re in! Every year since 2010, I’ve written a post summarizing the year on this blog. Here are the highlights for 2018. My posts from years past about healing my injured sacroiliac joints have gotten a lot of comments in 2018 from people who are also suffering, and that has brought the most gratification this year, to know that documenting my healing journey offers hope to others. To summarize that journey, I saw many practitioners in various bodywork modalities for a couple of decades before finding one who truly understood what it would take to heal the injury. I followed her advice, and it worked. My final post, Sacroiliac joint healed!, published in 2017, includes links to all my previous posts on the topic. In 2018, I had 94,239 visitors and 127,235 views. This is down a bit from 2017, even though I wrote more posts in 2018. I’m attributing the downturn in visitors and views to social media burnout. Social media has been a fun new toy — and more people are seeking balance in their lives. I’m actually fine with it, as I’m seeking balance too. Writing fewer posts but having them be more germane to how we can live better lives works for me. Plus, I’m a bodyworker and wellness advocate by trade. Less text neck, eye strain, forward head posture, and sitting are better for your health. I want you to be healthy! I wrote 32 blog posts in 2018, totaling 16,319 words, averaging 510 words per post, a bit shorter than I typically have written. The most-read post in 2018 was one first posted back in January 2014, How to drink water with lemon and preserve your tooth enamel. It’s gotten the most comments of any post I’ve ever written. Believe it or not, almost 5 years after it was first published, 40,960 people read that post in 2018. I hope they/you are preserving their/your tooth enamel! At the end of 2018, I have 292 followers on WordPress, 92 on email, and 605 on social media. Thank you! The most popular day and hour for reading my blog is Sunday at 2 pm. As always, it astounds me how connected the world is now because of the internet. One of my intentions for 2019 is to improve my writing. I’d like to write a monthly post but have each be more interesting, compelling, and shareable. If you’re anything like me, you like to start off a new year by focusing on what you want to change in your life. January seems like a great month for doing that, after the excesses of the holidays. It’s time to get grounded again, look within, think about what you want for yourself in the coming year, and begin to manifest it. You probably have some bigger goals (travel, education, remodeling) and smaller ones (eat healthier, drink more water, exercise, study, read, meditate, etc.). For tracking my daily activities, I really like this free downloadable monthly habit tracker from Clementine Creative, which I’ve used for several years. You can print it in different sizes (A4, A5, US Letter, etc.). Then circle the month, add the days of the week (S M T W TH F S) across the top, and list the habits you want to track down the side. Print 12 copies, put them in a binder or on a clipboard, and use the fun office supplies of your choice to track the habits you want to cultivate. This page has it all. Now you can get an editable version where you fill in the days of the week and the habits you want to track before printing, instead of printing first and writing them in by hand. That version is $3.50 USD. Also, here’s something I’ve learned from experience. If you are the kind of person (as I am) who does not enjoy strict routines, who starts chafing at the bit after a while and wants to rebel against sameness or rigidity, but you still like to see results from your efforts, you get to decide what’s a win for you. If you make your bed 3 days out of 7, you get to decide if that’s a win. What was that month like? How often did you do it before tracking? Maybe next month, 4 days out of 7. Your habit tracker should serve you and not make you its slave — unless, say, taking life-saving meds is something you track. It’s about clarity, motivation, and information. Have compassion and allow yourself to be imperfect. I’ve also found that once a habit becomes ingrained, you can stop tracking it — only add it back to your list if you notice you’ve slacked way off, and you still want to do it. The Splendid Table podcast had a guest caller who shared her recipe for umami powder, in October 2017. She’d grown up in Japan, and after returning to the U.S. as an adult, experimented and came up with this flavor-enhancing powder that you can add to American favorites as well as East Asian ones. Here’s the episode (the umami power segment starts at 41:30 and ends at 46:30), and here’s the recipe. I thought I’d share my experience making it, as well as ways to use it. Fill the coffee/spice grinder with bonito flakes and pulverize into a fine powder. Empty the grinder into the bowl. Repeat until all the bonito flakes are ground up. Do the same with the shiitakes. You may need to manually break large ones up to fit into the grinder. Repeat as needed. Add the shiitake powder to the bonito flake powder. Place sheets of kombu on the scale and add/subtract to get one ounce. Use scissors to cut 1/4″ strips of kombu lengthwise, and then cut across the strips to make 1/4″ squares. Put these into the grinder and grind to a fine powder. Add to the bonito and shiitake powder. Whisk the three powders gently to mix well. Makes 1 cup of light, fluffy powder. I stored it in a jar, and you could also put some in a spice container for sprinkling on food. The originator of this recipe, Erica from Seattle, recommends adding the powder to burgers, meatloaf, and “a savory oatmeal that was phenomenal”. She also mentions adding it to seafood soups to make them taste like they’ve simmered for hours. Sprinkle it on food as a seasoning. Use it to add flavor to sauces and broths. Add it to savory porridges like congee. Sprinkle it on a piece of fish before cooking. Sprinkle on chicken before baking. Add to ricotta with herbs to make spread for toast or crackers. Have you made umami powder? How have you used it? I got myself an InstantPot (deeply discounted during Amazon Prime days in August), and I’ve been experimenting with it. I’ve added wild rice and legumes back into my diet after eating Paleo (grain- and legume-free) for years, because my body functions better with the extra fiber. My doctor says they act as prebiotics, feeding healthy gut microbes. I feel good! I’m loving wild rice! It’s got a nutty taste, a pleasing chewy texture, and is a native American food full of fiber. I’m also loving InstantPot cooking. Even people who “can’t cook” can just follow the many recipes now available and come out with good food in not much time. I’m a jazzy cook — I like to improvise from a master recipe, which this is. A pilaf is perfect for that: it’s a traditional Middle Eastern/Indian rice dish cooked in a broth, to which you add whatever you’ve got on hand that “goes with”. I use the InstantPot’s Sauté function to soften a chopped onion (and/or shallots) and a couple of stalks of celery in olive oil or butter or ghee. You can add chopped garlic if you like, right before adding a cup of wild rice — garlic scorches easily. Mix well, sauté for another minute, and add 3 cups of mushroom, vegetable, or chicken broth. I switch to Pressure Cook (high) and set the timer for 15 minutes, with the vent closed. When the timer goes off, I let it sit for 10 minutes and open the vent. Then I stir the additions in while it’s hot! I like to add 1 cup of cubed cooked chicken, 1/2 cup pecan pieces, 1/2 cup dried cranberries, 1-2 cups roughly chopped baby spinach, 1 cup thinly sliced baby Portobella mushrooms, and 2 tablespoons chopped Italian parsley. Mix well. The mushrooms and spinach should wilt from the hot wild rice. If not, put the lid back on the InstantPot and set it to Keep Warm. Instead of chicken, add turkey or duck. Instead of pecans, try walnuts or almond slivers or pistachios. Instead of cranberries, add raisins — or sprinkle fresh pomegranate seeds just before serving for their gorgeous color, texture, and flavor. Substitute chopped kale or chard (minus thick stems) or another mild green for the spinach. Add any herbs you like. Sage, thyme, and rosemary would definitely work, in my opinion. Adding green onions at the end adds flavor and color and texture. To balance the sweet savoriness of the pilaf with cranberries, add a bit of a good tasty vinegar, lemon juice, or dry wine (not cooking wine, usually too salty). Add by the teaspoon and taste often to avoid adding too much. If there’s extra liquid, you can pour it off, add a tablespoon of chia seeds to thicken, or leave it soupy. To make it creamy, add cream cheese or sour cream to taste and stir well to melt and blend. I invite you to see what you have on hand, sense if it would fit well with the other ingredients, and experiment! Share in the comments what worked for you!